We’ve been looking at the 6-year graduation rates of the 2011 freshman cohort in Virginia’s four-year colleges. 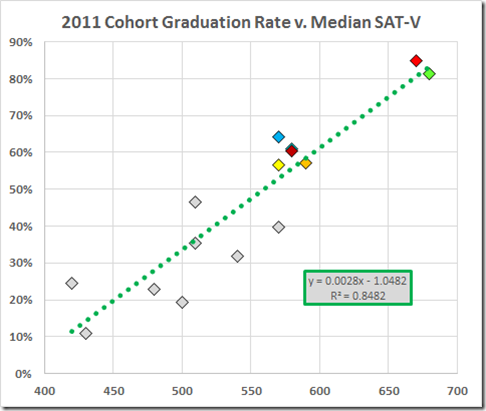 SCHEV also provides SAT data for those students. 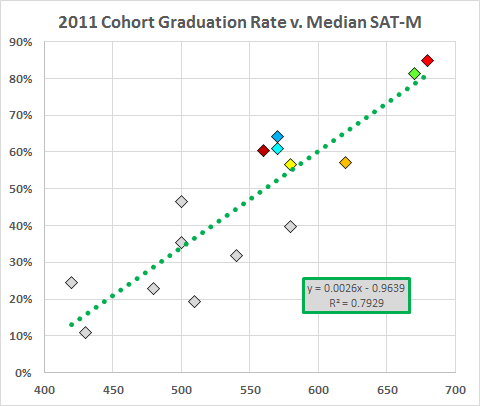 Here are the median SAT scores for the 2011 entering class, sorted by the schools’ graduation rates. The graduation rates correlate strongly with those SAT scores. 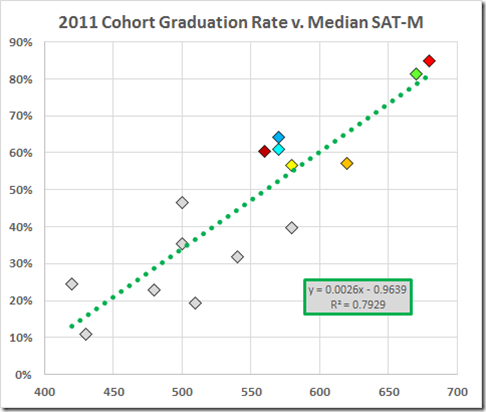 Recall, please, that correlation does not imply causation. 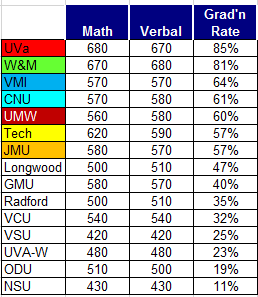 BTW: This year’s medians at Longwood are 490 in both math and reading; the state averages are 513/516. The current Richmond scores are in a different league.